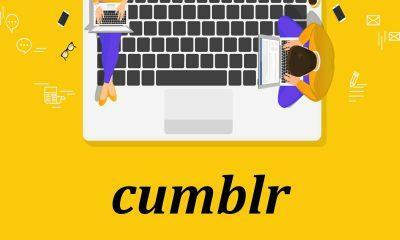 After Tumblr changed its terms and policies regarding adult content which apparently created a horrible impression among its existing users, Tumblr began to come under an unexpected catastrophic downfall as it’s users are always trying to figure out an alternative way to quench the thirst for adult content. And likewise, this resulted in encountering extensive growth in some existing platforms. However, it did not leave the old ones also to gain, a drastic user based from nothing to something. Apart from that in the quest of finding the best platform, a lot of new inception also happened to court the existing obsessed Tumblr refugees. Must read our in-depth guide on Best Tumblr Alternative. Youllo, this is yet another site for all the Tumblr refugees to occupy. Although it’s inception wasn’t too long back which took place in December last year. Youllo the self-proclaimed perhaps the new aged adult social microblogging network greets all the Tumblr refugees and it’s a new user with a message “A special welcome to all #tumblrrefugees” the platform Twitter bio reads. Besides that later after going through a couple of it’s a Tweets post, it was apparently found that youllo has also started marketing about its ability to import all the Tumblr blogs of its users as one of its key selling points. So, if you are one of the many Tumblr refugees who is wondering to the same without deleting the existing blogs. Here are the following steps to get on with the process of importing your Tumblr blogs post to Youllo. 2. After you are done with the profile setup, scroll down to find out an import option to import all your previous Tumblr blog posts. 3. 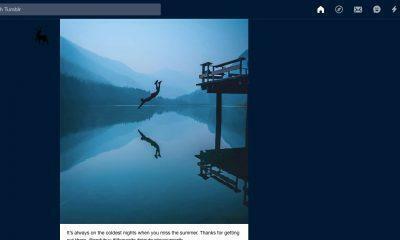 After you find the option, click/ tap on it and you will be asked to go through simple steps, such as you will have to create an app Tumblr, which can be later connected to the Tumblr server. 4. Done! Now you need to fill in some of the fields such as application name and website. 5. Now finally, last but not the least, steps are to enter the OAuth consumer key & the secret key. Apart from that you also get a dedicated preview option to see the public impression of your imported Tumblr blogs on Youllo. Furthermore, Youllo also posted the top 5 reasons you may want to use its services in a tweet. However, before heading into details, you must be aware of the fact that Youllo maintains a strict age limit policy under which anyone under the age of 18 years can’t delve into this site. There are also certain guidelines which show that the site contains explicit and mature content. When you land on the site, a warning will be displayed before using its services. Which apparently states that individuals who are less than 18 years of age are not permitted to access such contents under the law of any applicable jurisdiction may not access such contents.